The new Place Label tool is similar to Place Note. Instead of a text note the user places a cell with, or without, a leader line. 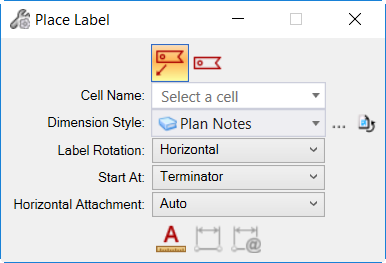 Using the tool setting association toggles along with cells containing text fields with element properties, the label is updated based on the element being labeled. In the example below the Radius cell has been created using a text field to display the radius of an Arc element. 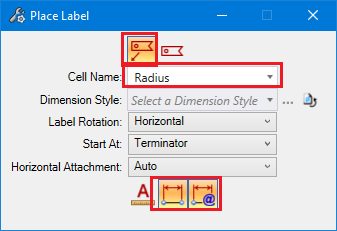 By activating the association toggles the label cells are associated with the selected arcs and display the current arc radii.